Honestly, these guys should be fit and fresh as they did nothing from September to December. But yes, Solari should keep with these STS (steady the ship) tactics. It's clearly working. Absolutely, most of this team did nothing for about 4-5 nonths. That lastgap Betis win and the good ol' barbecue seem to have done us a world of good. The mentality is totally different now, even in thr game we lost v LaReal I saw the fight in the players so kudos to them. Now they should give us the trophies they owe us tbh. A UCL Final Madrid derby in the Wanda, oof. Like oof to the power of 1000. Nah, I don't think either fan base can deal with the trauma of losing it there. I think Bale is shite. but i want him to start over Vini against Ajax. if Vini believes he is the starter over Bale in all the games then the pressure maybe too much. Against Barca and Atleti Vini made many many mistakes. because he was nervous. also to be honest these two stadiums are tough to play at. Bale is useless off the bench. because he can't dribble and has lost his explosiveness it seems. on other hand Vini can be a super sub with his energy and speed. It would be even more pressure if we expect Vini to come off the bench and rescue us. Bale does not participate in the build up, having him from start will handicap us. I much prefer Vini tbh. And I don't think it'll get to his head, Modric gave him an earful for dwelling on the ball against Atleti and Kroos against Barca for being selfish. So the team is helping him get better. Benzema is a doubt. Bale as striker? Fully expect to smash the Ajax kids into oblivion even without all the starters, Mariano can start he is decent and Ajax should be about his level atm just give him service he will do fine, hopefully a couple early goals cruise through the tie. So, after watching Utd's insipid performance vs PSG, I do hope the lads don't disappoint like they did. Not that I think Ajax are world beaters but this is the CL and most teams at this level can beat you if you're not careful. Ajax would be the perfect banana peel. This team should underrate noone. No matter how inexperienced the other team is. 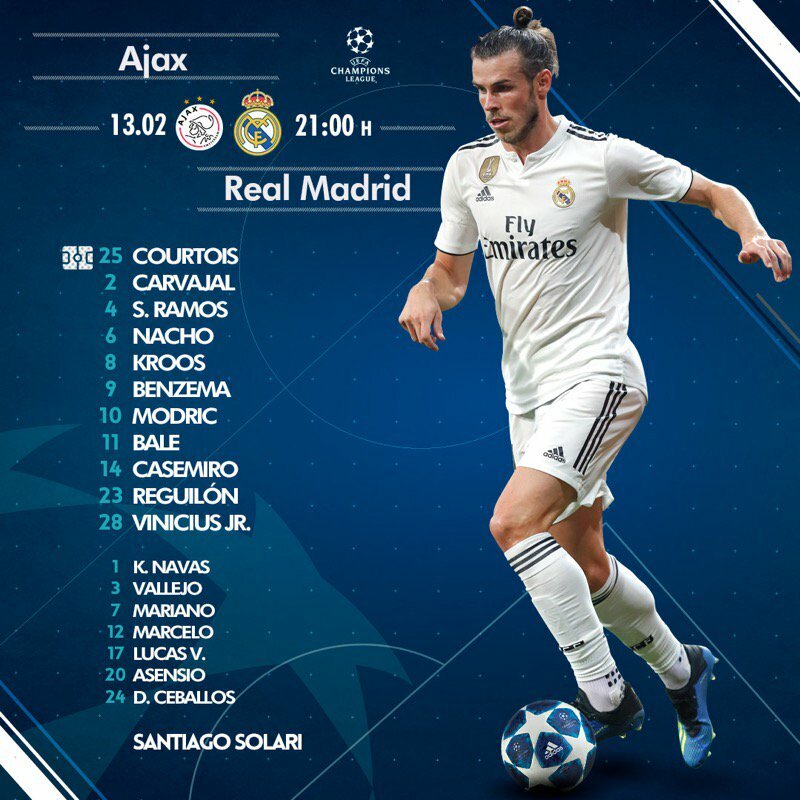 The players have a full grasp of how Solari wants them to play and building on it game by game, their too experienced to slip to ajax of all teams, the club and the players are aiming for at least semi's which should be fairly possible. How does Solari want to play? Legitimate question. Steadying the ship, Deez. Steadying the ship. @The Demon of Carthage wrote: Steadying the ship, Deez. Steadying the ship. Ramos: I see a penalty on the horizon. I'm definitely taking it, ya'll can go and screw yourselves. Solari: Is Isco part of my future plans? I told him to look for my plans over there. Marcelo: Why do I have to sit next to these guys? I don't feel like trying anymore. That picture is pretty accurate. Ramos looking to for a chance to go forward regardless of the scenario. 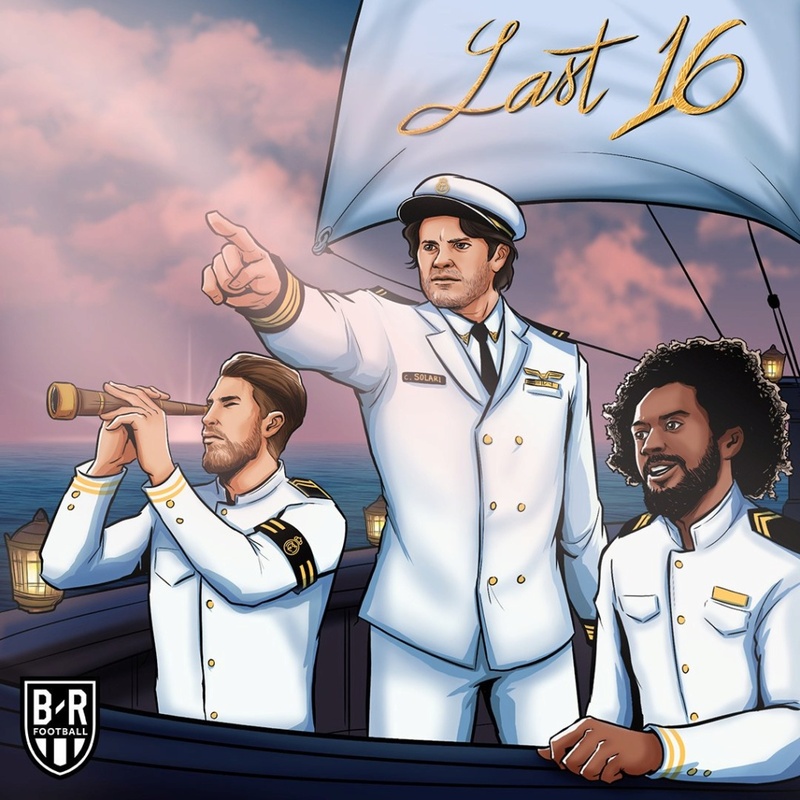 Solari pointing at a completely different direction but the ship is going nonetheless, bless the clown and Marcelo is sitting down. Bale has been scoring goals out of half chances lately. In a match where we need an away goal Bale any day over Lucas Vasquez. @vanDEEZ wrote: How does Solari want to play? Legitimate question. And by "scoring goals out of half chances lately" you mean two goals one against Atlético and one against Espanyol? I'm not being sarcastic, I'm genuinely asking because those two are the only ones I can think of. Also, I would choose a technically limited hard worker over a lazy, injury-prone any day, especially if the latter can't beat a defender to save his life.